Panel Interviews are quite possibly one of the more difficult types of interview processes, especially when the panel consists of three or more different representatives. It can easily feel like you’re being interrogated as opposed to being interviewed, and it’s harder to build personal rapport compared to that of a normal “one on one” interview. 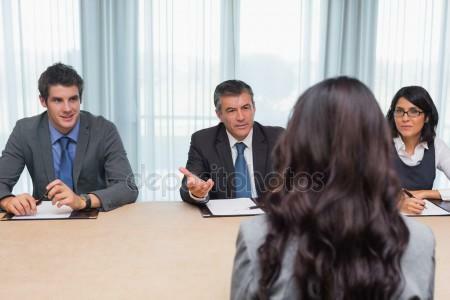 That said, it is still an interview and if you take control of how you perform and don’t get pressured, you’ll easily find a way round the interview. Prior to the interview, try to establish whether there will be an agenda that will be followed. This won’t always be the case, but a call to HR (or whoever is coordinating the interview), might throw in some valuable insight. Approach a Panel Interview as you would a normal interview – same preparation . At the start of the interview, ask if it’s okay to take out a pen and paper so that you can take notes (it’s very unlikely that they would ever say no), and make a note of each person’s name. Be prepared for many of the standard types of interview questions that you will find on our website. Pay special attention to Behavioural Questions which are often used extensively in a Panel interview. Try to be as engaging as possible to all parties, and when answering questions, make sure you address everyone. Smile and subconsciously be aware of your composure.